The CEO of Nestle Health Science, Greg Behar, talks about how the Swiss multinational company is increasingly involved the development of nutritional products for the optimization of clinical treatments. Borned in 2011 on the basis of the previous division of HealthCare Nutrition of the Swiss food and beverage multinational Nestlé, Nestlé Health Science (NHSc) is increasingly establishing itself as a global player in the fast-growing sector of clinical nutrition. A major player acting at 360 degrees, with projects dedicated to the optimization of diagnostic-therapeutic pathways, as well as other initiatives in the most innovative areas of diagnosis and of the use of digital technologies to support consumers-patients. We met the CEO of Nestle Health Science, Greg Behar, during the recent convention Eyeforpharma Barcelona 2017. «”United for healthcare“, the motto chosen by Eyeforpharma for the convention, expresses very well the challenges we all are facing in healthcare. The target of Nestlé Health Science is to create a new frontier for nutritional therapies: our attention is concentrated on the nutritional needs of consumers and patients, on the development of new approaches to nutritional therapies and to empower consumers and patients in order to better control their health. Last but not least, we also want to offer solutions to optimize healthcare costs». Greg Behar so resumed to the large audience of pharmaceutical executives attending the event in Barcelona the long way Nestlé made since its foundation in 1866. The history of the company started with the invention of condensed milk for children (a recipe made from cow’s milk, wheat flour and sugar) and led during more than 150 years to the addition of new areas of competence. NHSc’s current focus on healthcare and nutritional therapy applications is just the latest addition to this history: Nestlé is today the number one company in the food and beverage sector, with distribution of more than 1.3 billion products every day. 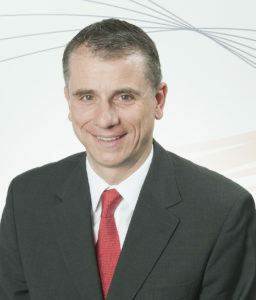 An opportunity, wrote Behar in “CEO message” posted on the website of the company, to forge a greater therapeutic role. «The food and nutrition industry greatly evolved during the last hundred years – says to NCF to the CEO of NHSc. – The science of nutrition and the greater knowledge about effects that specific components may exert represent an opportunity to create a greater focus on nutrition and well-being». Three are NHSc’s main goals, starting from the satisfaction of the current health’s demand. «We know that drugs only are not the solution, we are addressing a multifactorial challenge. People are proactively looking for solutions: we can offer answers», tells Behar. For the CEO, the answers do not come only from Nestlé Health Science, they rather see the Swiss company networking with other healthcare players to develop synergistic actions based on a solid scientific evidence. «The science behind nutrition is the second element: a science that is rapidly growing, with many recent ‘peer reviewed’ publications reporting data on the impact of specific nutritional components on health. We have the knowledge and the experience to recognize the benefits that the already available scientific evidence can bring, or if we need to gather more evidence. We always keep an high quality level on the science supporting our products. We also have the ability to reach people at the global level, both consumers and patients: we are the only company in the world that offers its products in every market. This network is absolutely critical». Nestlé products are distributed across all different channels, from supermarkets to pharmacies, vending machines or specialty stores, from e-commerce to hospitals and other health facilities. The development of innovative nutritional therapies represents NHSc’s most advanced frontier of research, together with consumers products and medical products. The targeted use of nutrients aims to complete the action of medicines rather than to replace it. The Swiss company is developing its adjuvant nutritional regimens both independently or through partnership with different biotech companies. Nutritional therapies have been well accepted so far by the regulatory authorities of different countries, says Greg Behar: «We have an excellent feedback and support from regulators, they see us as a serious partner for health, who follows a solid science-based approach. In recent years, the company is raising the bar with respect to nutrition and health, which it is also one of their targets». NHSc’s nutritional supplement containing arginine, omega 3, and RNA, for example, is indicated to reinforce the immune system in the pre- and post-operative context and it is used in hospitals to support the recovery of patients undergoing surgery for gastro-intestinal cancers. It is also included in the Italian Eras protocols (Enhanced recovery after surgery) and in the 12th Health Report published by the CREAS Consortium of the University of Rome Tor Vergata. «A lot can also be done to manage food allergy epidemics and in the field of diagnostics for desensitization. We started with a group of products for the allergy to cow’s milk proteins, which we are developing on a global scale», says the CEO of NHSc. For the CEO of Nestlé Health Science the possibility to conduct clinical studies supporting the claims of products for nutritional therapy offers an additional advantage in terms of education of doctors, pharmacists, dietitians and nurses who will then make use of the products. «Healthcare professionals should adopt a new approach on the basis of the evidence that supports it. We play a key role in building the evidence supporting our solutions. In general, there is a low level of knowledge and education on clinical nutrition. In my opinion, there is a low attention to this topic within the university courses in some countries. It is thus necessary to provide more evidence and education, for example on how a product could be used in the hospital setting to prevent surgical infections. In this field we have studied more than 35 thousand patients, demonstrating a 40% decrease in the risk of infection, which can reduce the length of stay of more than two days along with the associated costs. This type of evidence is very important for a healthcare providers to help and guide the decision-making process», adds Behar. The education of consumers and patients play also an important role to make more acceptable the new approach to healthcare and prevention, something that may result still unusual for many people. Greg Behar tells about the positive feedback received so far from NHSc’s customers, also thanks to the pleasant tastes of the products that improve consumer experience. «Last but not least, we also provide many informative materials for patients and consumers, such as a tool for children with allergies to cow’s milk protein, tips for people with difficulty in swallowing (dysphagia), or for patients using enteral nutrition or those following a ketogenic diet for epilepsy. These are complex situations to handle, where it is also important to make available some advice to the patient’s family on how to vary the menu or to use the equipment». 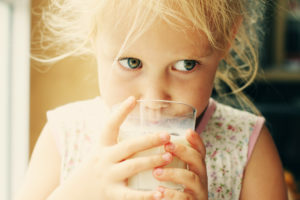 NHSc’s site dedicated to cow’s milk allergy, for example, is mainly targeted to mothers and provides a checklist of symptoms and a “diary” to be completed and then discussed with the pediatrician. «We work with small biotech companies that possesses the knowledge to develop specific ingredients or technologies based on the microbiome for specific indications. We are looking at the possibility to partner with pharmaceutical companies for the development of healthcare solutions in a more holistic way», tells Greg Behar about the present and future of Nestlé Health Science. The collaboration with the French biotech DBV Technologies was signed in May 2016 and should lead to the development of an innovative patch for the diagnosis of the allergy to cow’s milk proteins in infants. The agreement has a total value of € 100 million; DBV will follow the project until the pivotal phase 3, to be conducted on a global scale, to then leave to NHSc the commercialisation of the product. Allergy to peanuts is the focus of the partnership with Aimmune Therapeutics, an investment of $ 145 million. The project is currently in phase 3 and is expected to bring to market the drug candidate AR101, developed using the CODIT™ technology (characterized oral desensitization immunotherapy). Different collaborations are also active within the stimulating scientific and financial district of Boston, as well as many partnerships with universities worldwide: examples are the projects with the Dana-Farber Cancer Institute on the impact of targeted therapies for weight loss in overweight or obese breast cancer patients, or with the University of Southampton in the field of epigenetics. By the end of this year, Nestlé Health Science should also open its research hub in Bridgewater, New Jersey, that should become the central point of acceleration for the development of products for all areas of business, with an eye in regard to formulations. «It represents a way to translate more quickly research findings into products that can be tested on patients and consumers, in a clinical and/or commercial setting», says Behar. The integrated, patient/consumer-centered approach of Nestlé Health Science also includes activities in the diagnostic field and the provision of personalized nutritional recommendations. This last project is the core of the collaboration with Samsung, a world leader of information technology and telecommunications. «It is our way to look at solutions that allow to personalize the intervention. Samsung provides the technology, we bring knowledge on nutrition and science – says Behar to NCF. – We have also an interesting partnership with GE Healthcare in order to better integrate in the hospital the data obtained from the enteral nutrition monitoring systems, especially in intensive care units, with an holistic view of the patient», concludes the CEO of Nestlé Health Science. The strategic partnership with the investment fund Flagship Pioneer, signed in 2015, aims to invest in new companies developing cutting-edge technologies in the field of nutritional therapies, with a focus on metabolic, brain and gastrointestinal health. The fund, which has a total value of $ 537 million, sees also the participation of AstraZeneca and Bayer CropScience. The clinical phase 1B on compound ERA-262 for the treatment of Clostridium difficile infections began in July 2016. The new product is an “eco-biotic” developed from rational design within the partnership with Seres Therapeutics. It represents the first of a new class of fully synthetic drugs based on the microbiome. The twelve bacterial strains contained in the oral capsules were selected on the basis of the analysis of the human microbiome, of efficacy data in animal models and of the characterization of the strains. According to NHSc, the randomized trial should include about sixty patients at the first infection with Clostridium difficile and should evaluate the effects of ERA-262 compared with placebo. SER-109 compound is already in phase 3 and represents Seres’ most advanced project, which received the designation of Breakthrough Therapy by the FDA. The development of new diagnostic tools to monitor the effectiveness of therapies for different diseases of the gastrointestinal tract, including inflammatory bowel disease (IBD), ulcerative colitis and Crohn’s disease, is at the core of the partnership with Prometheus Laboratories. The diagnostic test for IBD launched last year in the US market measures the levels of adalimumab and the levels of antibody against the drug in the serum of patients with IBD, a way to monitor the response to treatment and guide the decisions of physicians. The test uses the technology of homogenous mobility shift assay developed by Prometheus, which was used also to develop a similar test which measures infliximab levels and related antibodies. Prometheus also completed the validation of a test dedicated to patients receiving vedolizumab for the treatment of Crohn’s disease.